The second procedure is called PRP (Platelet Rich Plasma). Platelet Rich Plasma is produced from an individual’s own blood. After a blood sample is obtained from a patient, the blood is put into a centrifuge, which is a tool that separates the PRP from the blood. The blood is spun for approximately 15 minutes. PRP contains highly concentrated amounts of natural growth factors and other cytokines that promote the regeneration process of soft tissues. The PRP is applied directly to the channels that were created from the micro-needling to further stimulate the natural healing process and creation of collagen. This therapy is a minimally invasive skin rejuvenation treatment with quick recovery time and is designed to stimulate the body’s natural collagen production. The treatment actually involves the use of two procedures, micro-needling and PRP (platelet rich plasma) done consecutively. PRP microneedling cosmetic procedure uses this popular treatment in conjunction with the microneedling procedure. Both procedures are used independently, however, the combination or dual modality of using the microneedling fractional trans-dermal delivery application is being shown here to increase percutaneous absorption of the PRP medium. The automated modality delivers thousands of micro-sized injuries to the dermal layer of the skin. These tiny micro sized 33 gauge needles vibrate and punch vertically into the skin at speeds of up to 25+ times/sec. This controlled “damage” to the skin harnesses the bodies own injury response to rejuvenate and repair the skin through the proven science of collagen stimulation known as collagen induction therapy (CIT). The microneedling treatment has been available for purchase by medical professionals for the last year in the U.S. and overseas in many different Countries. 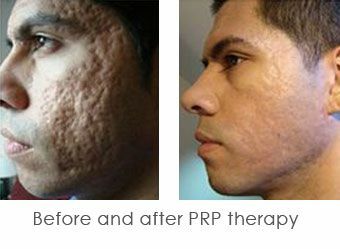 The PRP microneedling treatment now being combined with the PRP therapy in practices across the world. The PRP treatment is administered first and involves the application of a rich concentration of the patients own platelet-rich plasma that is spun down via a centrifuge device. The microneedling pen uses the fractionated pattern of microneedles to drive the PRP into the dermal-epidermal junction (DEJ). The device allows the practitioner to vary the speed and depth to handle all different areas of the patient’s face and body. The PRP treatment is widely accepted as a very effective treatment and takes advantage of the bodies own powerful growth factors to stimulate healing and rejuvenation. 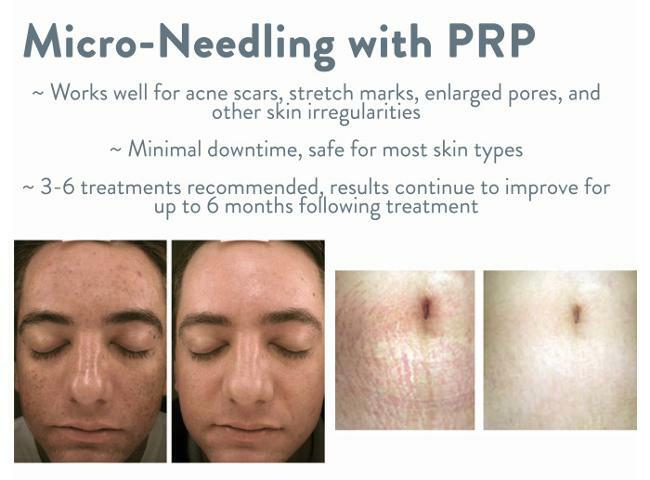 Now when combined with the micro-needling treatment, the PRP therapy has an effective delivery application to easily penetrate the surface of the skin and jump-start the rejuvenation process. The treatment is easily administered and there is no clinical downtime for the patient. This treatment is used to help patients with all skin types and is a corrective and preventative therapy to treat fine lines and wrinkles, manage scars from acne or other injuries, improve skin texture and colour from melasma presentations, reduce stretch mark appearance and stimulate new collagen growth. 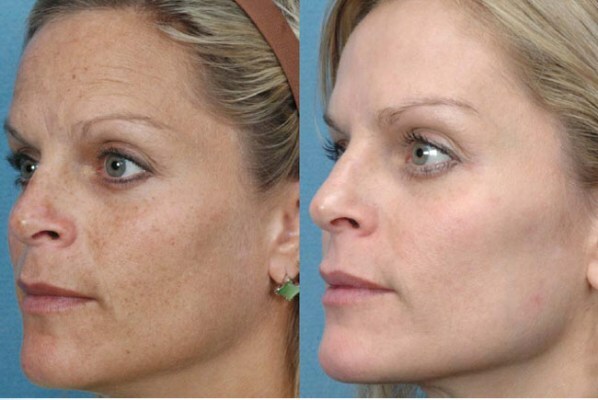 Here you can appreciate the difference between before and after pictures from the PRP Microneedling treatment.